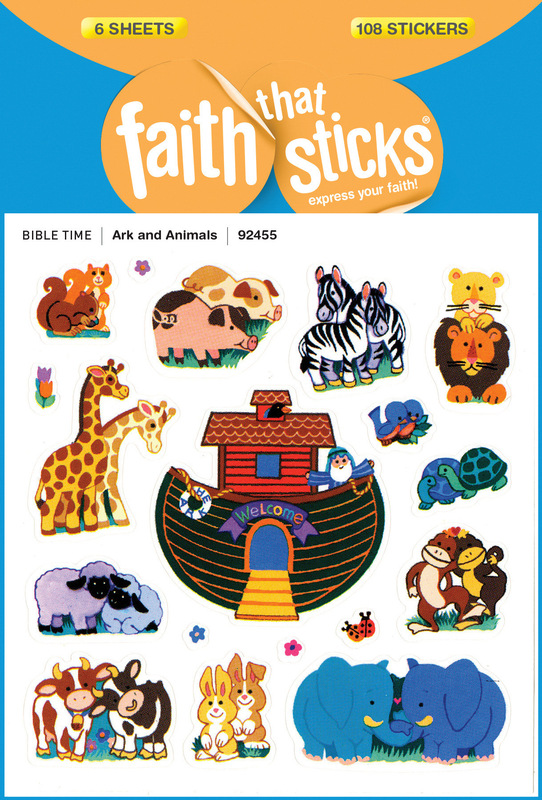 These adorable animal and ark stickers are a great way to share and illustrate the story of Noah and the flood for preschool boys and girls. Each sheet includes one 1¾" x 1¾" ark with 13 animal-pair stickers of pigs, lions, monkeys, ladybugs, sheep, giraffes, cows, rabbits, and more. Six sheets, 13 regular stickers and 5 mini stickers per sheet; 108 stickers per package. Ark And Animals Stickers by Faith That Sticks was published by Tyndale House in December 2013 and is our 2313th best seller. The ISBN for Ark And Animals Stickers is 9781414392455. Be the first to review Ark And Animals Stickers! Got a question? No problem! Just click here to ask us about Ark And Animals Stickers.